The latest assessments of the attacks injuring Americans and Canadians in Havana, Cuba, by U.S. intelligence analysts point to inaudible sound as the culprit -- ultra- and infrasonic waves -- according to a source familiar with the incidents that began in November 2016. However, the source says analysts are still working to rule out other technology. Medical records show American doctors diagnosed victims with hearing loss, mild traumatic brain injury and likely nerve damage. "Sound that we can't hear--both ultrasonic, above our hearing range, and [infrasonic] below our hearing range--can damage hearing too," according to Dr. Michael Hoa, an ear surgeon at Georgetown University Hospital. Hoa says victims of blasts—which are part acoustic—"can experience symptoms that are akin to a traumatic injury--or a traumatic brain injury." Officials are investigating whether the attacks came from a type of sonic device targeting the diplomats' homes, which are rented from the Cuban government. 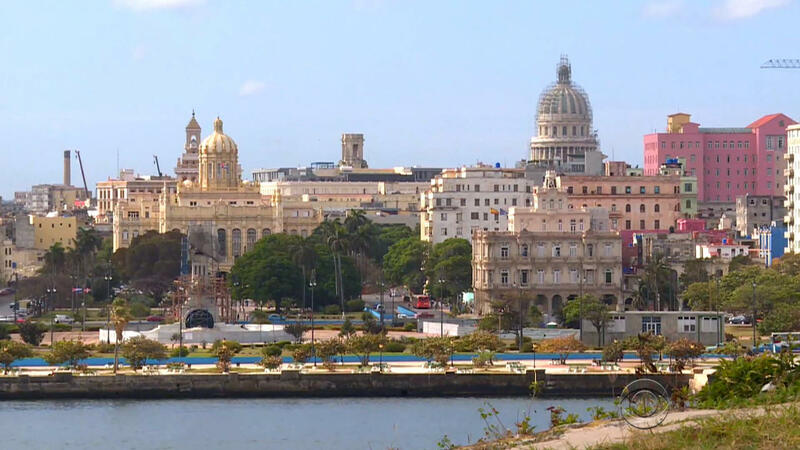 The source also confirmed the identities of the two Cuban embassy officials the U.S. asked to leave the country on May 23 as Frank Silva Hernandez and Joel Lago Oliva. State Department documents list the two as First Secretaries, but the source says they are intelligence officials. They departed the U.S. May 30. Neither the embassy nor the Cuban mission to the United Nations has responded to numerous phone calls and e-mails for comment. Although State Department Spokesperson Heather Nauert describes the incidents as "unprecedented," the U.S. government has dealt with similar situations in the past. The Soviets bombarded the U.S. embassy in Moscow with microwave radiation for more than 20 years. However, this didn't become publicly known until 1976 -- in part because the State Department initially denied press reports. Hundreds of embassy employees were medically evaluated, after some complained of headaches, lethargy, and blood disorders. "We decided that one possibility, vague as it was, could be they (Soviets) were onto something in radiation effects we didn't understand," Dr. Sam Koslov, chief scientific adviser to the Navy on microwave radiation at the time, told CBS News Correspondent Mike Wallace during a "60 Minutes" broadcast June 19, 1977, as Congress was probing the matter. Nauert says that "at least 16 U.S. Government employees, members of our embassy community, have experienced some kind of symptoms," in Havana. Sources say five Canadians were also affected. Steve Dorsey is a CBS News correspondent and CBS News Radio executive editor.